A stalwart politician of the Bharatiya Janata Party (BJP), Prem Kumar Dhumal has twice been the chief minister of the hill state - Himachal Pradesh. Currently, he is the Leader of Opposition in the state assembly. For the forthcoming Himachal Pradesh Assembly Elections, Prem Kumar Dhumal is Bharatiya Janata Party's chief ministerial candidate. A two-time chief minister of Himachal Pradesh, Prem Kumar Dhumal was born on 10 April 1944 in Samirpur Village of Hamirpur district of Himachal Pradesh. He holds a postgraduate degree in Arts from Doaba College, Jalandhar, and a graduate degree in Law from Guru Nanak Dev University, Amritsar. 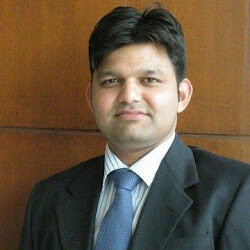 Prem Kumar Dhumal's family includes his wife - Sheela, and two sons - Arun Thakur and Anurag Thakur. Interestingly, Anurag Thakur is also a politician. Prem Kumar Dhumal joined politics in the 1980s. Before joining politics, Prem Kumar Dhumal was a lecturer at a private college in Punjab. In 1982, he became the vice-president of the Bharatiya Janata Yuva Morcha. He first became the chief minister of Himachal Pradesh in 1998. 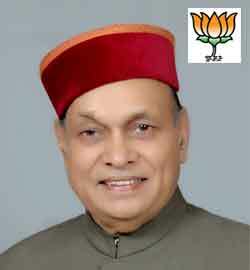 Prem Kumar Dhumal has twice been the chief minister of the state of Himachal Pradesh i. e. from March 1998 to March 2003 and later from January 2008 to December 2012. He became active in state politics in 1993. Consequently in 1998, with a margin of 1800 votes he won Himachal Pradesh Legislative Assembly Election and became the chief minister. In 2003, he became the Leader of Opposition. Seeing his significant contribution in Himachal Pradesh in terms of development of roads and infrastructure, he was called the Sadak walla Chief Minister. Prem Kumar Dhumal was declared BJP's chief ministerial candidate for the forthcoming Assembly Elections in Himachal Pradesh to be held on 9th November 2017.